He’s only 22 and already a billionaire – at least in Uganda where he lives. 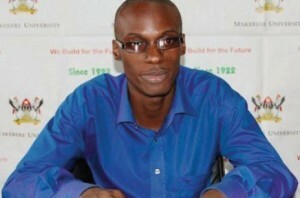 IT student Abdu Sekalala has made a fortune designing mobile phone Apps. His applications have rivalled some of the world’s most popular platforms in downloads. ABDU SEKALALA, DEVELOPER: “We have word book which is a dictionary and the Tutu translate which is basically a translator and then there is world sports which is a sports application for soccer fans.” He’s developed nine internationally recognised Apps. Wordbook is among the most successful. It earns him 1.25 dollars everytime it’s downloaded. So far that’s over 300,000 times – making him some 375,000 U.S. dollars. Africa is the world’s fastest growing telecoms market and Abdu got his big break last year after taking a Nokia training course. The mobile phone giant now sells Abdu’s Apps in its specialist Ovi store. Agatha Gikunda is Nokia’s Head of Apps in East Africa. ABDU SEKALALA, DEVELOPER: “In the first week of its launch it became number three in the the most downloaded things in the world, that is when I felt like this is my number one of everything that I developed, this is it, this is what is going to make my mark.” Abdu is still studying IT at college. But with a steady income he doesn’t have to worry about finding a proper job when he leaves. Hayley Platt, Reuters.